This Saturday, September 15, the National Museum of Racing and Hall of Fame invites families to a Hunt for History and Horses scavenger hunt. Fun-filled events are planned throughout the day, including crafts and track tours, as well as free admission for your trip to the Museum. Read on to learn how you can participate! 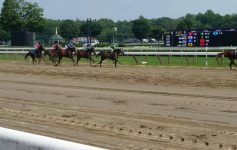 Racing season may be over, but you can still have fun learning about Saratoga’s legendary racetrack. 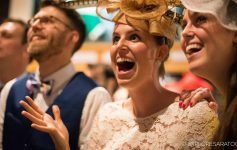 From 10 AM to 12 PM on September 15, the National Museum of Racing will be hosting a Hunt for History and Horses scavenger hunt for kids and parents! 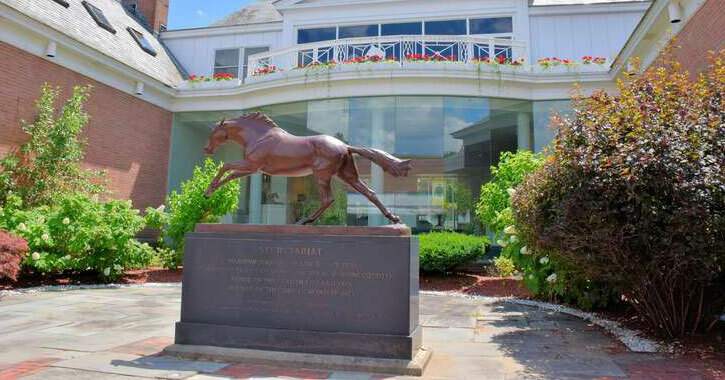 Tour the track grounds in teams while discovering the history of thoroughbred racing in Saratoga. Registration for the scavenger hunt starts at 9:30 AM at Saratoga Race Course’s main entrance gate on Union Avenue. Following the scavenger hunt, craft activities and refreshments will be provided, as well as free admission to the Museum for participants! The Hunt for History and Horses costs $5 for adults; admission is free for children under five years of age. To sign up, call the Museum at (518) 584-0400 ext. 120. Tom Durkin, Saratoga’s racecaller for the past 25 years, will also be leading three tours of the racetrack at 1 PM, 2 PM, and 3 PM. The special postseason tours will explore the track’s incredible history and iconic architecture. Tours are limited to 20 people, with $15 admission for Museum members and $20 for non-members. Participants are required to make their reservations in advance by calling (518) 584-0400 ext. 120.